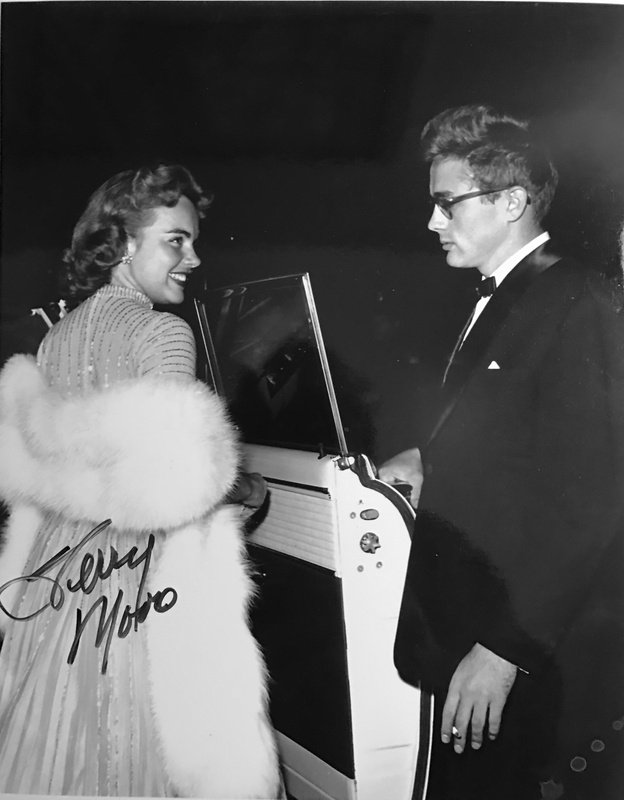 Autographed photo of Terry Moore on a date with James Dean. 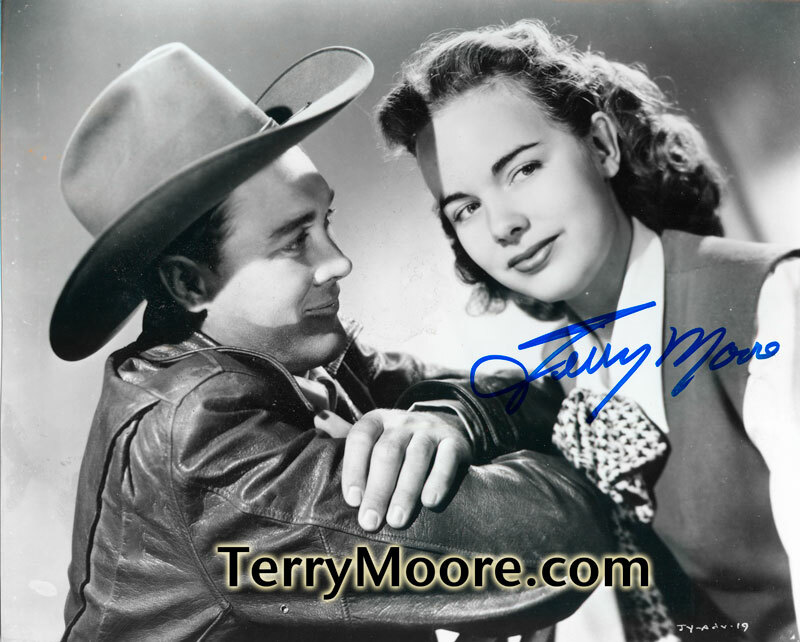 An 8″ x 10″ glossy photo signed by Terry. I just finished watching Mighty Joe Young….the original and best one….and want to thank you for all the years of enjoyment I have gotten from watching you in this film. You brought a great sense of innocence to the part and were wonderful in it. One question….did you actually play the piano in the movie or was that dubbed? It is a Thanksgiving tradition for me to watch King Kong, Son of Kong and Mighty Joe Young every Thanksgiving since I was 5 years old. I am 37 now! Hope you had a blessed Thanksgiving and a very Merry Christmas. Check out my name on facebook, Terry McGehee. You are in my profile picture along with me. 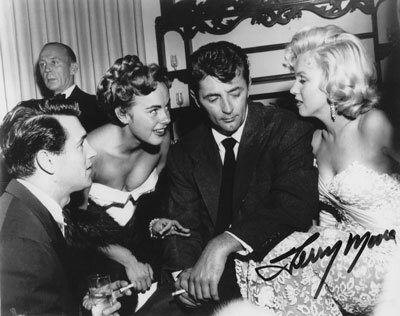 It is an incredible picture and was taken at one of Issie Haber’s party’s. It was a pleasure meeting you yesterday at The Hollywood Collectors Show. I will be ordering your picture with James Dean at a later date.